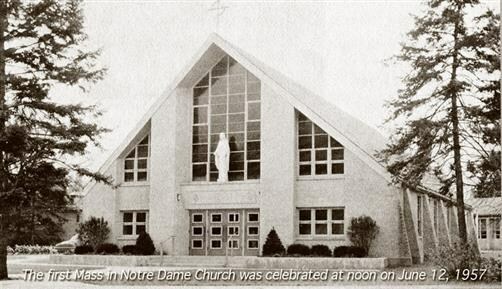 A spirit of being and dedication became evident early in the life of Notre Dame Parish. The first stirrings occurred in 1936 when Rev. 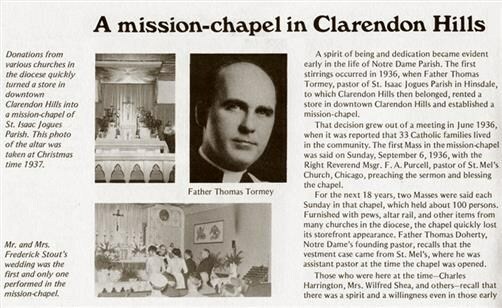 Thomas Tormey, pastor of St. Isaac Jogues Parish in Hinsdale, rented a store in downtown Clarendon Hills and established a mission-chapel to serve the 33 Catholic families in the village. 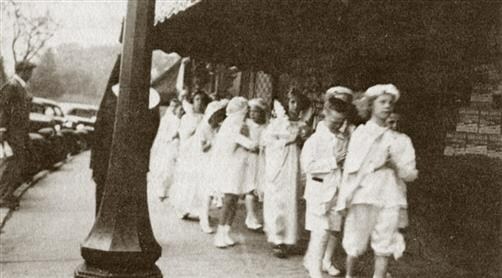 The first mass was celebrated on September 6, 1939 with Msgr. F.A. Purcell of St. Mel's Church in Chicago blessing the chapel. For the next 18 years, two masses were celebrated Sundays in the chapel, which seated about 100 people. Furnished with pews, an altar rail and other items from churches in the diocese, the chapel quickly lost its storefront appearance. Though not yet a parish, Notre Dame already existed in spirit. Notre Dame Parish is Born. Early in 1953, Rev. Doherty, founding pastor, met with Bishop Martin McNamara to discuss the needs for the growing Catholic community in Clarendon Hills. It was learned that the Middaugh property belonging to the Sisters of Christian Charity was available. Mother Constance and her council agreed to sell for $50,000. Ground for the new church was broken in November 1954; this being a Marian Year, Rev. Doherty named the parish Notre Dame. The dedication of the church took place at noon mass on June 12, 1955. The spirit that had been growing for 18 years in Clarendon Hills had come to fruition. 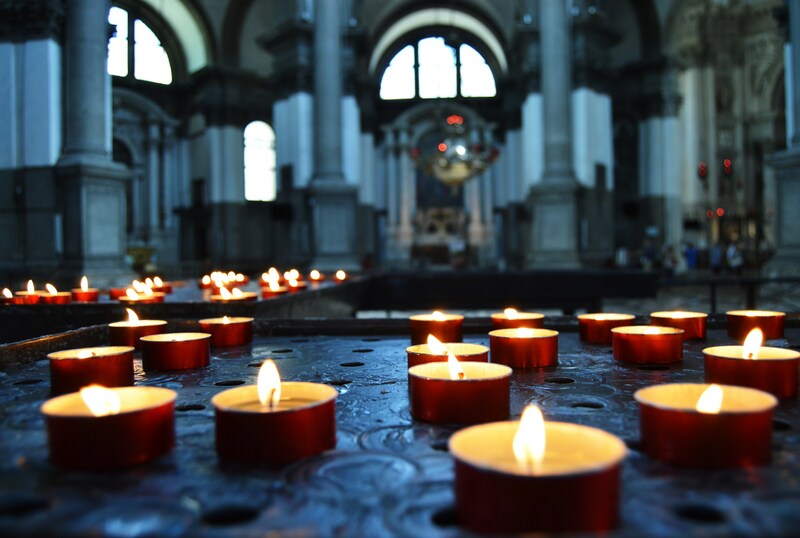 Today, Notre Dame is a spiritual home to nearly 1400 households with parishioners from Clarendon Hills, Darien, Hinsdale, Oak Brook, Westmont, Willowbrook and other nearby villages.